Is the trolling motor really one of the most important pieces of equipment on your boat? It is when your livelihood depends on it. MotorGuide understands the importance of a reliable motor. It comes down to whether or not your trolling motor performs. It's that simple. Touring professionals are always looking for an edge, and with MotorGuide's Tour Edition, they've found it. Every Tour model combines the Digital advantage with stainless steel shafts, metal pedals and heads. What is Digital? 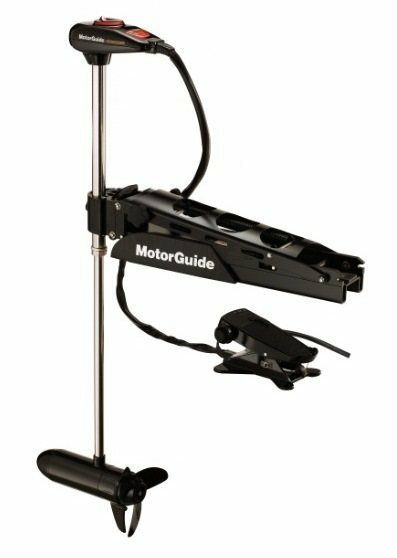 MotorGuide Digital monitors your motor's amp-draw, heat dissipation, output, and other vital parameters, resulting in a cooler-running, more durable motor with an extended service life. Digital is a self-contained, sealed module in the lower unit that brings all vital motor components together in one protected location, while eliminating outdated analog circuit boards and their related components. Digital allows you to dial into the precise speed you are searching for, and in turn results in longer lasting battery life. The Tour Edition is more than tough, it's virtually indestructible. That's the Tour difference. Only from MotorGuide.